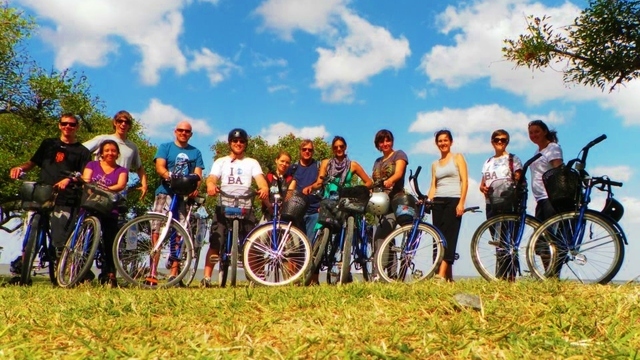 Make the best of your time on this full day bike tour of Buenos Aires, properly balanced with many stops to walk around, take photos, eat delicious asado, and drink traditional Argentine refreshments. Buenos Aires is too big to see on foot and too beautiful to waste behind a bus window. 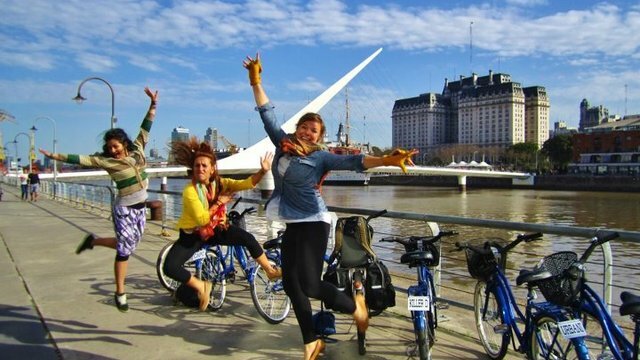 Be apart of the canvas and go sightseeing in Buenos Aires on bikes! This tour is available every day at 10:00 am starting in San Telmo. Starting at 10am (please don't be late) in San Telmo, we go over a complete orientation introducing you to your fully-equipped bicycle (each one has its own name), your tour guide (groups of 8 or more get 2 guides), and each other. Next, we make our way through San Telmo into Lezama Park - the border of La Boca (also the first place for any settler to step foot in Argentina). Along the way, we stop and tell the stories behind the most fascinating parts of the city including plazas, parks, buildings, stadiums, ecological reserves, cemetary, massive trees and more. We have at least 8 stops in which we get off the bikes to explore areas on foot, eat Argentine asado, drink yerba mate, buy antiques, talk with locals, listen to live music, visit ancient tombs, and a lot more! I had a truly wonderful tour of Buenos Aires with Katharina on August 18th, 2013. From start to finish, this tour was everything I had hoped it to be. Kat was warm, friendly, knowledgeable and provided us with great insight to all the sites on a well crafted itinerary that really hit all the highlights of BA in a comprehensive tour. 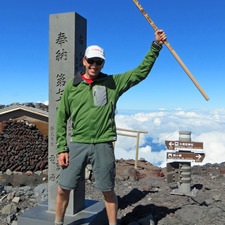 The pacing was really wonderful as it allowed us to feel like we could leisurely linger at all the right places. I loved the lunch stop to sample the traditional street food. I was a bit concerned that the traffic and crumbling streets might create a hazard, but your the bike tour really made the most of the great bike lane infrastructure and quieter streets that I didn't even know existed. It certainly helped that we conducted our tour on a brilliant day in BA, but nonetheless, I would highly recommend this tour to my fellow travelers. Thanks.